Hello, my name is Thomesa Lydon (pronounced tah-me-sa, lie-don). I am the proud founder and managing partner of LYDON Senior Pathways. As an active baby boomer living my primarily happy go-lucky life in Scottsdale, AZ, I was abruptly stopped in my tracks when faced with moving my parents at then 79 years old from their long-inhabited home in San Antonio, TX. My Dad was managing a failing heart and, Mom, Alzheimer’s. Each thought they were taking ample care of the other. While their intentions were certainly in the right place, my sister and I realized neither one was fully capable to do what was needed for the other and they were additionally burdened maintaining an over-sized home they no longer needed. Having grown up with Dad in the Air Force (I’m a military “brat” as we were affectionately called), I knew very well the rigors of moving whether it is was just down the street or across the country. 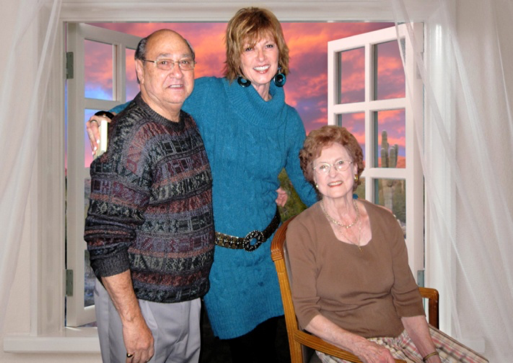 My Dad and Mom loved buying and selling real estate at each of our assignments as opposed to living in base housing. Resulting, each relocation was actually an exciting adventure to me. I learned at an early age that there is a process, a method to the madness if you will. But I had never encountered what was coming. I knew nothing about the options or resulting decisions I’d be faced with in our needed ‘senior’ transition into the next chapter of my parents’ lives. My sister and I soon found ourselves immersed in a disjointed web of unknown service providers, independent of one another, attempting to assist us. I was very dismayed to learn that we felt completely lost and alone in navigating this daunting challenge while we were simultaneously trying to preserve vitality in our parents’ lives. This personal experience led me to realize that no one should have to go through what my family and I went through… alone, facing this situation without some proper and caring guidance. From this and with I began LYDON SENIOR PATHWAYS.